This article explains how to generate a report containing all sales where Tax was charged, to easily calculate the total tax amount. 2. Click on Management then Practice Payment. 3. Select a Type of Payer or leave to All Types. 4. Select Locations or leave to All. 5. Select Providers or leave to All Providers. 6. Select Payment Methods or leave to All Methods. 7. Select a Date range for which you want the report for, manually or using the preset date range. 8. Select display Options for the report. 9. Tick Show Taxed Items Only. 10. Click Generate Report at the bottom. 11. 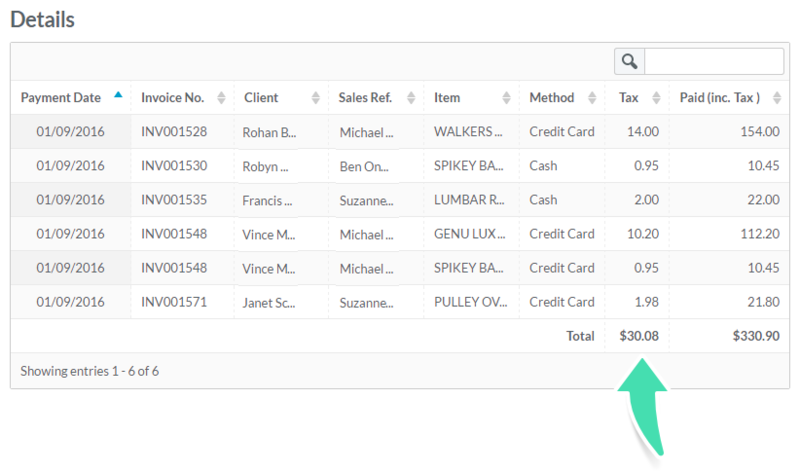 Scroll down to the bottom of the Report Details Table to view your Total Tax amount for all Sales that attracted Tax within the filters and options selected.